Имате въпрос към Shui Yen Inn? Удобно проектиран като за бизнесмени така и за почиващи туристи, Shui Yen Inn е идеално разположен в Maobitou - една от най-посещаваните части на града. Разположен само на 11.2 km от центъра на града и на 18.8 km от летището, този 2.5-звезден хотел привлича всяка година множество посетители . С удобното си местоположение хотелът предлага лесен достъп до всички градски забележителности, които задължително трябва да се видят. Съоръженията и услугите предлагани в Shui Yen Inn гарантират Вашия приятен престой. За удобството и комфорта на гостите хотелът осигурява безплатен WiFi достъп във всички стаи, ежедневно почистване, индивидуално настаняване/напускане, таксиметрови услуги, експресно настаняване/напускане. Влизайки в една от 12 уютни стаи, ще забравите за ежедневния стрес с помощта на удобства и съоръжения като телевизор с плосък екран, достъп до интернет (безжичен), безжичен интернет достъп (безплатен), климатик, телефон в някои от тях. Освен това в хотела можете да се възползвате от множество предложения за приятно прекарване на свободното време. Открийте интригуващата комбинация от професионално обслужване и широка гама удобства в Shui Yen Inn. Great position, very close to the beach. The lady doesn't speak english at all but she's sooo nice and will do everything to help you and make you comfortable, even buy food for you. Huge and beautiful room with even a little terrace. Even though the host/owner does nt speak a word of English, she went out of her way to accommodate us and her good heart and willingness to help made up for her lack of English. She even borrowed us her car to go buy food etc. Pro's: Location, excellent entertainment throughout day and evening, very accommodating host/owner. Great beach and scenery Cons: No place nearby to buy food or anything to drink except from the bar accross the road. (No food though). As foreigners, we don't eat the good on offer at the entertainment area accross the road, so had to drive (borrowed host car) all the way to kenting 3 x times to buy food and colddrink. Be prepared when you come. BaiSha is not easy to get to without a car. We managed to take Kenting transfer bus from HunChun, bus runs once an hour. Baisha is a beautiful beach but touristy, set up like a Jamaican beach town, with many bars, from which music was blasted all day. Hotel is a few minutes from beach cross a high way. The lady checked us was friendly, breakfast next day was Taiwanese fast food from breakfast stands near by delivered to hotel in plastic bags. The 2 ppl on duty next day were some what indifferent to our presence, never made any effort to greet us. They were more interested in playing with their pet parakeet. It is good value if you want to spend a night or 2 in BaiSha. Friendly service, Proximity to beach, Friendly service! The owner is super friendly and will go out of her way to make your stay a pleasant one. Definitely recommended for people looking to stay close to the beach and away from the hustle and bustle of Kending town. Location to Baisha Beach. Big, clean room. Very accommodating hotel staff. This hotel was perfect for Baisha Beach. The beach is located less than 5 minutes away from Baisha Beach as well as a complex with conveniences for beach visitors. The hotel manager greeted us personally. Check in was effortless and my friend and I were escorted to our spacious room. The manager took care of our every need promptly and went above and beyond to help us. Overall clean and convenient beach stay. My wife and I decided to go on a beach trip to the south of Taiwan, where the most famous resort area is in Kenting beach. However this had a reputation for being quite loud and a party scene, which whilst we would normally enjoy, was not an option this time as my wife was pregnant. So instead decided to find a place next to Baisha Beach, as we heard that this is the nicest beach in Taiwan. There are not too many options at all around this, but we were lucky to find the Shui Yen Inn. This is a basic hotel run by a very nice family, no frills but a fun and quiet stay. The owner and her mother were running the hotel and neither speaks any English at all. But what they lacked in ability to communicate in English, made up for in their niceness and willingness to try and help! 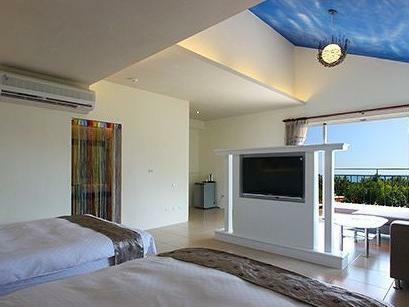 Just for that my wife and I were touched, and all in all we enjoyed a few relaxing days close to Baisha Beach. Everything vert good but bad breakfast atmosphère : sandwish in plasticbag. The hotel is a home hotel, far away from the center of the city but near. If you like to be near as the city and famous, not recommend this hotel. 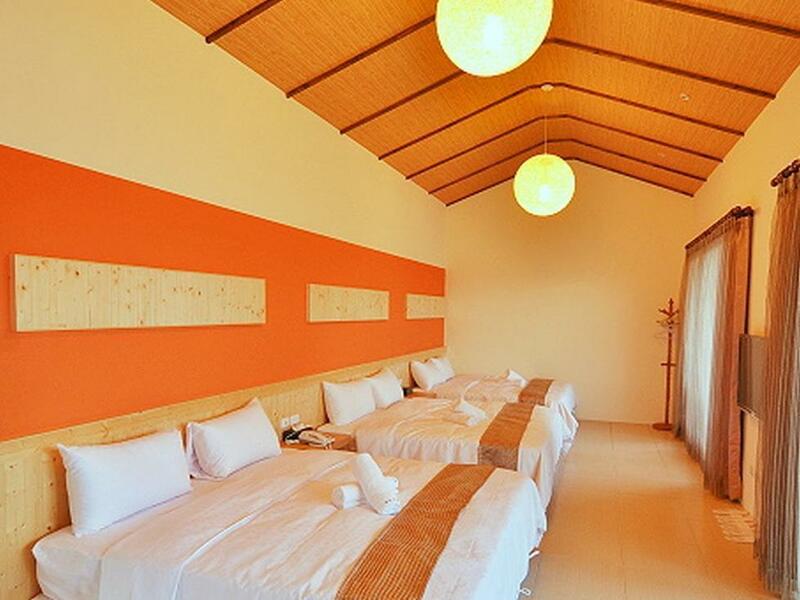 Shui Yen Inn is a two-minute walk away from the beautiful Baisha Beach. The location was perfect for us because we only wanted a beach vacation and nothing else. 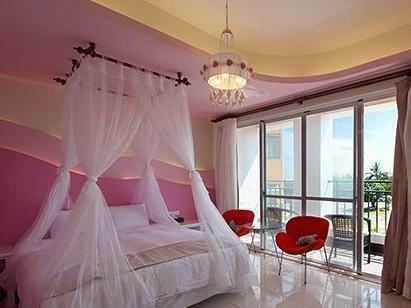 If you want to see other parts of Kenting, the hotel staff will arrange transportation for you or even drive you into town themselves for a small fee. Our room on the third floor had plenty of space for four people and a big balcony with a view of the sea. The location of the inn is very quiet, optimal for relaxing. The owner of the hotel is very warm and thoughtful. She even spontaneously cut some fresh fruit for us. We felt very comfortable and at home here. The only thing that might be difficult for foreign visitors is that staff does not speak much English. 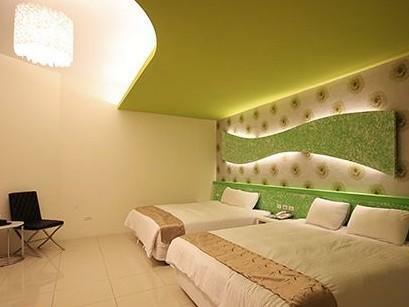 The Shui Yen Inn is a great option for travelers to stay near a beach in Southern Taiwan. It is located away from the hustle & bustle of Kenting street, it is quiet and it is very near, arguably, the best beach (Baisha) in Kenting. The staff/owner is very attentive to guests' needs and made us feel at home. The rooms were neat, well-equipped (especially the fast internet) and spacious. It is advisable when checking into this hotel to be ready to get on a scooter, which the staff/owner is happy to assist guests with, to get to the many attractions Kenting has to offer. Hotel owner was very accommodating. Prime location to Baishawan beach. Great two night one day stay at hotel. Location is prime for the beach which is the best sand beach in Taiwan, but hotel is far from main food street and airport. Hotel owner was very good at accommodating us and providing services like scooter rentals, private drivers, as well as personally driving us to get dinner in town two nights in a row. Another disadvantage is that the owner did not speak English.